ESP Auto Inc., Services: Air Conditioning | ESP Auto Inc. In today’s climate, air conditioning is no longer the luxury it once was. 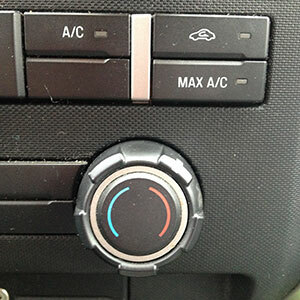 New England summers can be hot and sweltery so keeping your AC system in tip-top shape is extremely important.We recommend getting a check-up every year so that you can maximize your AC’s efficiency and stay comfortable in your vehicle. Your air conditioning system is composed of 5 parts: compressor, condenser, drier, expansion tube, and evaporator. During the course of a year, the system can lose up to 5% efficiency which, after a few years, really adds up! But with regular and routine maintenance, we can keep your AC working at its optimal level, ensuring a comfortable ride for your and your family. So how does your system work? Your compressor, which is the very heart of the system, compresses the refrigerant gas and moves it to the condenser which cools the gas by releasing the heat and condensing it into a liquid form. From there, the liquid flows to the drier which absorbs moisture and filters out particulate matter and acids that can cause corrosion. From the drier, the high pressure liquid is converted back to a lower pressure in the expansion tube so that it can enter its final destination, the evaporator. Once the coolant is in the evaporator it absorbs heat, comes to a boil, and changes to a vapor again. This vapor leaves the evaporator via the compressor and your car feels drier, cooler and more comfortable to drive in again. Contact us today if you would like to schedule an appointment for an AC check-up!